doxie loving person in your life. This is the place to check out all the latest and greatest dachshund gifts for the doxie lover or animal lover in your life. We have handpicked only the best gifts we could find, many are very popular gift ideas and others are a little quirky and unique in design. Such as this eye catching Steel Wind Spinner comes in black or red and is around 12 inches in diameter. Great feature in a garden or courtyard area. To make this possible we have partnered up with Zazzle and Amazon, who are both very reputable companies and provide top products at very competitive price. Both companies stand behind their products and service, with most gifts they give a shopping guarantee if you are not 100% happy with the purchase, they will make it right, please see each companies guarantee policies for further details. When paying for things over the Internet you want to know that your information is safe and secure, both companies use secure server software which encrypts your payment details, so you can shop with confidence. Here is a great selection of doxie gifts for everyone, from the very young to the slightly older. For many dachshund enthusiasts a number of these gifts are must haves or at the very least on their doxie gift list and not the type that you will see in any corner store. 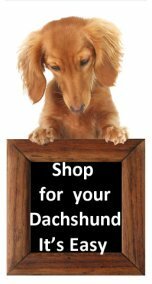 The great thing about Zazzle is you can customize the dachshund gift with your own design, add an image and text, choose the color and style you want, it’s so easy and a lot of fun. These dachshund T-shirts make a great gift, easy fit, and relaxing. Very comfortable, wear them in the weekends and on those hot summer days. A dachshund tie is a fun accessory. If you want to custom design a tie, use your own images and text, it’s so easy or select from the many dachshund designs. These dachshund hats are very popular gifts, adjustable fit are available in a number of colors and you can customize your own design. 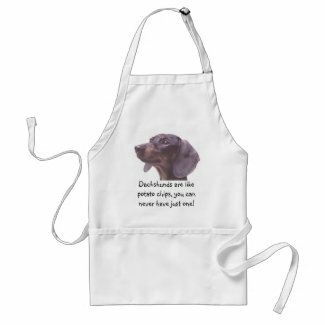 Dachshund Apron – whether in the kitchen or cooking a bbq this apron will do the job. Three pockets in the front with plenty of room for kitchen bits and pieces. Poly cotton blend. You can customize these dachshund mugs with your own images, text and interior color if you choose. Variety of colors and sizes available.These mugs are all microwave safe. Make your own dachshund mousepad or choose from the range in stock. Excellent print quality, dust resistant cover, size 9.25 x 7.75 inches. Protect your Apple iPhone 5 with a dachshund themed case mate from Zazzle or custom design your own. These plastic cases are strong to resist impacts and have an interior lining of rubber to help absorb shocks. Dachshund magnets are great little gift, people can stick them on their fridge, dishwasher, just about any metal surface. 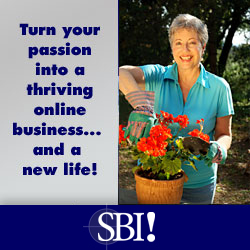 Customize your own or buy a ready-made design. They come in round or square shape, are made from 100% recycled paper and are UV and scratch resistant. Dachshund stamps are a great way to personalize your mail and yes you can customize them if you choose. Each sheet holds 20 stamps and there are thirteen postage denominations available. Come in three sizes, these are the medium size 2.1 x 1.3 inches suitable for RSVP envelopes and greeting cards. This stand-alone dachshund planter is suitable for indoor or outdoor gardens, great gift for those who spend time in the garden. Easy to assembly, no tools needed. Dachshund Nintendo Game – give your children a taste of what it’s like to own and care for a dachshund. They will learn about the supplies they need for the dog and learn how to train their puppy. Compete in agility trials, dog obedience shows and win prizes. If you like monopoly and love dachshunds then this is the game for you. Great game for all the family, suitable for 2 up to 6 players, ages 8 years plus. This is a selection of some of the most popular dachshund gifts available to check out the full range visit Amazon and Zazzle websites.